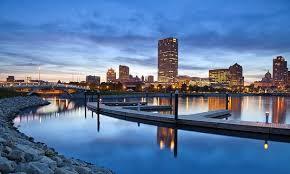 Milwaukee is Wisconsin’s largest city and the 31st most populous in the United States. It is also home to a range of potential pest problems. The following post will take a look at some of the more common pest issues in the Milwaukee area, and provide some advice on how to address these. Perhaps the most common pest problems in the Greater Milwaukee area are cockroaches, bed bugs, pigeons and rats. Pigeons can create problems for homeowners and tenants when they roost in a property. These birds can carry and transmit various harmful diseases, including encephalitis and salmonella, which are spread through the birds’ droppings. Ways to avoid pigeon infestation include limiting potential food sources for the birds (such as spilled grain, seeding weeds and leftovers from feeding non-pest birds). To keep pigeons from infesting your home, it is advisable to block off potential nesting spots with wire or net mesh. If your home becomes a target for nesting pigeons or other pest animals, it is advisable to contact a pest control service provider to remove the animals from your home and offer measures and detailed advice to keep them from coming back. There are a number of reputable pest control providers in the Milwaukee area. A good example is Batzner Pest Management Inc. Batzner services the entire states of Illinois and Wisconsin and provides a wide range both commercial and residential of pest control solutions. Included among their services are treatments for bed bugs and other creepy crawlies, rodents, and other pest problems. They offer a free assessment over the phone and provide advice on how to prevent pest problems from recurring in your home. Some other reputable pest control companies in the Milwaukee area include Ehlers Pest Management, Bug Man & Queen Bee Inc. and Community Pest Control.